Please copy & paste the following questions into your application and answer them thoroughly. Feedback and suggestions (especially regarding the tank list) via PM. 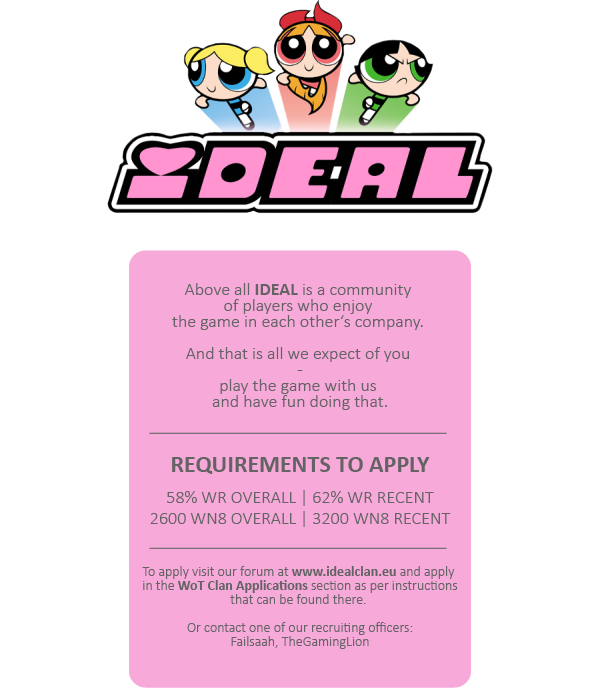 Updated this thread, our recruitment thread (last line about whom to contact) and our clan description. Please check the latter and let me know if something's missing/wrong. So this is to potential recruits who want to increase their chances of survival.